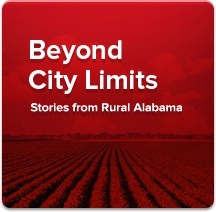 ELBA, Alabama – In this small town in south Alabama’s Coffee County, companies and people are doing big things. Take INZI Controls, a South Korea-based manufacturer of injection and blow molded automotive parts that supplies the Hyundai automotive manufacturing facility in Montgomery. Since 2009, the company has grown to employ more than 220 people at its Elba facility, and it will add 30 more workers with a planned expansion in 2014. Koo-Ryong Jung, chairman of INZI Controls, said from the first, everyone in this town of nearly 4,000 residents has whole-heartedly welcomed the company. “During the past years, I have been very impressed with the support from the community as well as the work skills and work ethic of the people,” he said. The Elba location was INZI Controls’ first venture in the United States. Kelley Foods is a successful homegrown business in Elba. Elba also has its share of successful homegrown businesses. One Elba company with an expansive reach is Kelley Foods of Alabama, which now employs 170 people in the city. The company now offers more than 8,000 fresh and frozen products, including the sausage, ham and bacon products found in grocery stores throughout the Southeast. The company has operated in Elba since 1957, when it was founded as Elba Packing Co. by Lester Kelley, his two sons and the plant manager at the time. Today, the company employs around 160 people and distributes its products online and in parts of Alabama, Georgia, Mississippi and Florida. One of the city’s oldest companies, Dorsey Inc. (now called Pitts Enterprises Inc.), launched operations in Elba back in 1911. The maker of over-the-road trailers now employs 150 people in the town. Another longtime landmark business, National Security Insurance Co., has been based in Elba since 1947. Its shares trade on the NASDAQ Global Market. Elba Mayor Mickey Murdock said the town’s low tax rates, affordable real estate, and location offer advantages to companies looking to establish a new operation. He said the town has 167 acres of land available for business near a four-lane highway. U.S. Highway 84 runs directly through Elba. The Coffee County town is located within two hours or less of three interstates (Interstates 85, 65 and 10) and commercial airports in Dothan (46 miles away) and Montgomery (77 miles distant). The town is less than three hours from the Alabama State Docks in Mobile. The city also has a well-maintained municipal airport. Elba stands to benefit from the region’s growing aerospace and aviation industry, with includes the U.S. Army Aviation flight training base at Fort Rucker and helicopter-repair operations in nearby cities. The $600 million Airbus passenger jet production center in Mobile is expected to give the entire region a lift. Enterprise State Community College’s Alabama Aviation Center training facility is located about 30 miles away in Ozark. Mayor Murdoch said Elba offers small-town advantages including city parks, baseball fields, a pool and an 84-acre lake maintained by the city. The Pea River is a major attraction for fishing, canoeing, kayaking and nature observation. The white-sand beaches of the Gulf of Mexico are less than two hours away. The town is located near several community colleges that offer technical programs, providing an ongoing source of trained workers. The Lurleen B. Wallace Community College’s McArthur center in Opp is just 16 miles away, while Enterprise State is 18 miles away. Troy University’s main campus is 30 miles from Elba. The town has begun the process of becoming certified as an Alabama Community of Excellence and it recently joined the Wiregrass Economic Development Corp., an organization based in Enterprise that seeks to create jobs and promote economic activity in Coffee and Geneva counties. “If you’ve been to Elba recently, you’ve noticed they have a great mayor and city council making a difference,” said Jonathan Tullos, executive director of Wiregrass EDC.